The party planners at We Like to Party! are at it again! 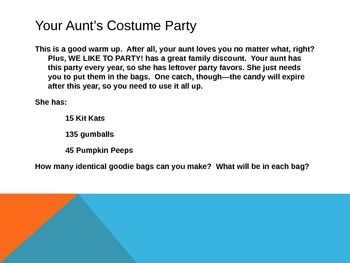 This time their challenge is to fulfill the wishes and dreams of the Halloween party-throwers that are their clients. 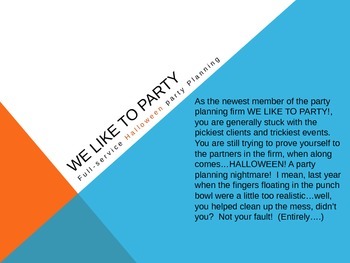 Through the use of factors and multiples, student party planners will work hard to solve four Halloween party planning dilemmas in the hopes of impressing those sadistic bosses at We Like to Party!